As a child, Bragg had no idea he was deaf. He was born to deaf parents, his deaf aunt and uncle lived in the same building in New York City, and sign language was just the way people spoke. Until he was sent to the store with a note to buy cigarettes for his mother. “I gave the coin and the note to the proprietor and he looked at me and started to move his mouth,” Bragg later wrote in Lessons in Laughter: An Autobiography of a Deaf Actor, published in 1989. “He did not sign at all, and I became visibly disconcerted by the strange movements of his mouth under his heavy mustache.” He got the smokes and went home. “It was thus that I made the discovery of my deafness, all by myself.” Even as a child, Bragg loved theater, but there were few jobs for deaf actors. 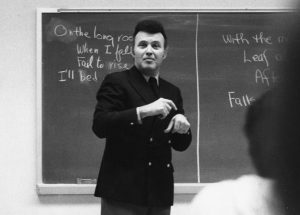 After graduating from the New York School for the Deaf and then Gallaudet College, in 1952 he took a job at the California School for the Deaf in Berkeley. In 1956, Bragg went to San Francisco to see a performance by the mime Marcel Marceau. After the show, Bragg handed Marceau a note to introduce himself, and to ask where he could study to be a mime. After an audition the next day, Marceau took him on as his own student. Bragg’s style was obviously silent, but he combined mime with American Sign Language and called it “Sign Mime”. He appeared often on stage in the Bay Area, and hosted a series on local television for three years called The Quiet Man. 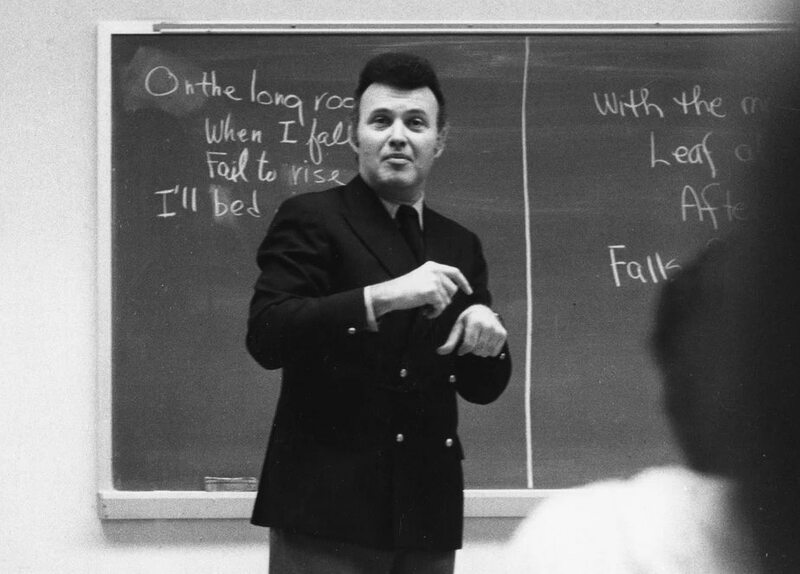 In 1967, Bragg and Dr. Edna Levine, a professor of Deaf studies at New York University, founded the National Theatre of the Deaf in Connecticut, which also brought in hearing actors because, the founders said, audiences need to “hear every word and see every word” as a way to bridge the worlds of the hearing and the deaf. Since then, NTD has gone on hundreds of tours, putting on performances in all 50 states — and 30 countries. While setting up NTD, the NBC television network offered Bragg a 1-hour special to showcase deaf actors as part of its “NBC Experiment in Television” series, which helped bring funding to the organization. Bragg continued to teach, including at Gallaudet (now a university), as well as act, write and direct plays, and play himself in the 2013 film, No Ordinary Hero: The SuperDeafy Movie. He died in Los Angeles on October 29, at 90.